As kids in the U.S. head back to school it is nice to hear about a project that helps African children in Malawi get much needed school supplies in water proof book bags spearheaded by a family in Eugene, Oregon. 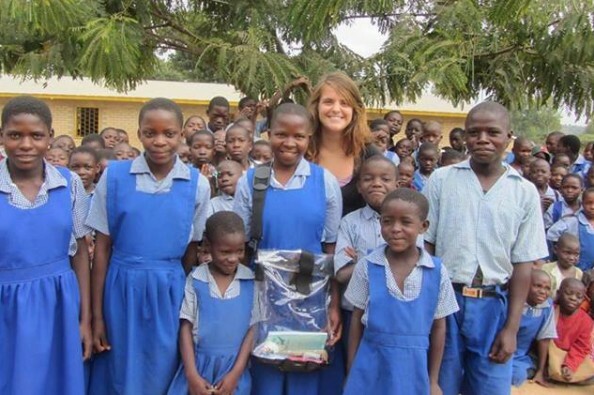 Lauren Welch Rodgers serves in the Peace Corps in Malawi. Lauren and her family have launched an educational project in the community she serves: Project Monsoon Bookbag. Project Monsoon Bookbag will distribute bags produced and donated by Seattle Sports and local business Oregon River Sports. The book bags will be outfitted with school and personal hygiene supplies, flip flops and an umbrella or poncho. Boys and girls will be selected based on need and participation in community projects. They are hoping to raise $5000. You can read all about it on their website or you can follow Lauren's story and see more pictures on Lauren's blog.